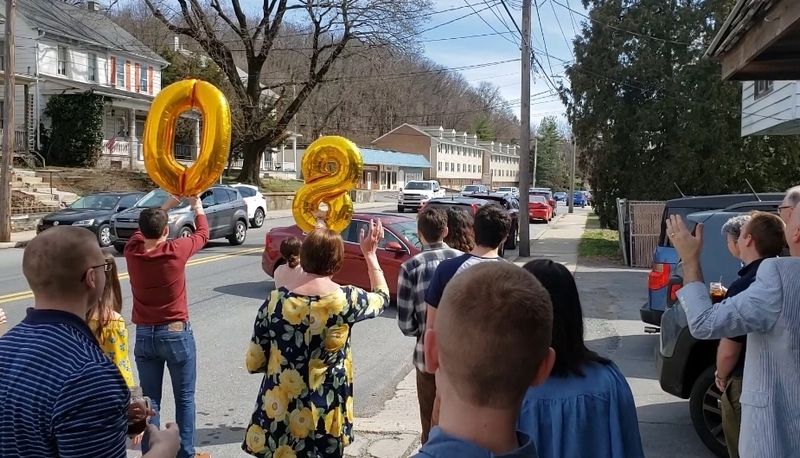 Yesterday, we celebrated my grandmother’s 80th birthday with a huge surprise bash. It was awesome. It was also entirely dairy & tree nut free! Held at my cousin’s restaurant, more than 60 people enjoyed a buffet of safe food… baked chicken, pasta, a carving station, sides, & appetizers. My family also baked tons of safe deserts, including Greek pastries. Happy 80th birthday to my grandmother! And thank you to my family for continuing to accommodate my food allergy.